"said Peter Friedman, Ford global manager of structures and stamping, Research & Advanced Engineering." 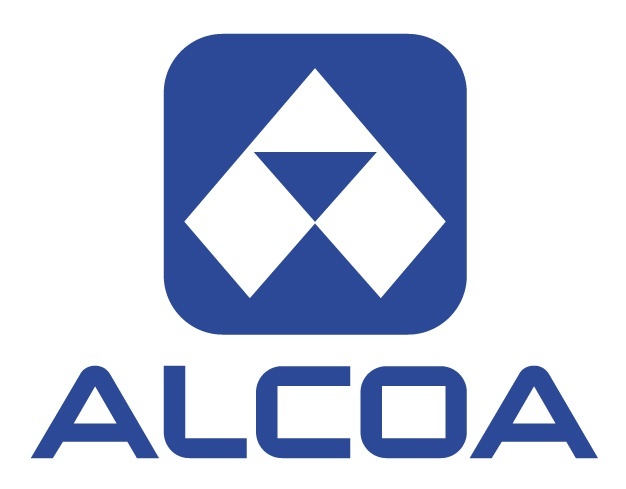 DEARBORN, Mich.--(BUSINESS WIRE)--Ford Motor Company (NYSE:F) and Alcoa Inc. (NYSE:AA) are collaborating to produce next-generation automotive aluminum alloys that are more formable and design-friendly. 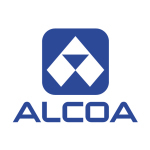 Ford will use Alcoa’s Micromill® material in multiple components on the 2016 F-150 – becoming the first automaker to use the advanced automotive aluminum commercially. The companies entered into a joint development agreement to collaborate on next-generation aluminum alloys for automotive parts using Micromill™ technology. Alcoa’s Micromill technology, announced in December 2014, produces an aluminum alloy that is 40 percent more formable than today’s automotive aluminum. The increased formability of Micromill aluminum makes it easier to shape into intricate forms, such as the inside panels of automobile doors and external fenders. The increased material strength allows for the use of thinner aluminum sheet without compromising dent resistance. Ford will begin using Micromill material in 2016 F-150 production in the fourth quarter of 2015, and plans to increase its use over the next several years on a range of vehicle components and future platforms. It is projected Ford’s use of Micromill material on its vehicles will more than double from 2016 to 2017. Alcoa’s advanced alloys offer Ford the formability and strength required for greater flexibility in designing vehicles using complex parts. By using the highly formable material, parts constructed of multiple pieces can be manufactured as a single part – reducing complexity and assembly time. Target applications for the material include critical strength structural parts as well as exterior panels that must meet strict surface quality requirements. Aluminum alloy produced using the Micromill process has already been validated by Ford engineers to ensure it meets the stringent requirements for producing high-quality parts, especially the kinds of complex structures that make up F-150. “The door inner is one of the most difficult parts in automotive stamping,” said Peter Friedman, Ford global manager of structures and stamping, Research & Advanced Engineering. “The ability to produce an alloy using Alcoa’s Micromill technology to make that part is a real statement for how this process can benefit the automotive industry and Ford in particular. The joint development agreement between Alcoa and Ford will further expand the existing suite of automotive alloys produced by Micromill technology for use on Ford vehicles. New alloys will improve design flexibility on lightweight parts and provide better vehicle performance – helping Ford produce the types of quality, lightweight vehicles customers want. 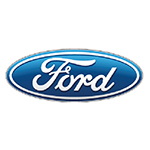 Ford Motor Company, a global automotive industry leader based in Dearborn, Michigan, manufactures or distributes automobiles across six continents. With about 195,000 employees and 66 plants worldwide, the company’s automotive brands include Ford and Lincoln. The company provides financial services through Ford Motor Credit Company. For more information regarding Ford and its products worldwide, please visit www.corporate.ford.com. The Micromill is Alcoa’s proprietary technology that manufactures the most advanced aluminum sheet on the market. The Micromill process dramatically changes the microstructure of the metal, producing an aluminum alloy that has 40 percent greater formability and 30 percent greater strength than the incumbent automotive aluminum used today while meeting stringent automotive surface quality requirements. Additionally, automotive parts made with Micromill material will be twice as formable and at least 30 percent lighter than parts made from high strength steel. The Micromill alloy has formability characteristics comparable to mild steels. This release contains statements that relate to future events and expectations and as such constitute forward-looking statements within the meaning of the Private Securities Litigation Reform Act of 1995. Forward-looking statements include those containing such words as “anticipates,” “estimates,” “expects,” “forecasts,” “plans,” “projects,” “targets,” “will,” or other words of similar meaning. All statements that reflect Alcoa’s expectations, assumptions, or projections about the future other than statements of historical fact are forward-looking statements, including, without limitation, statements regarding growth opportunities for aluminum in automotive applications or the expected benefits of advanced aluminum alloys or manufacturing technologies or processes, including the Alcoa Micromill; and projections regarding the timing for and volume of Micromill material to be used on specific vehicles. Forward-looking statements are subject to risks, uncertainties, and changes in circumstances that are difficult to predict and are not guarantees of future performance. Important factors that could cause actual results to differ materially from those in the forward-looking statements include: (a) material adverse changes in aluminum industry conditions or in the markets served by Alcoa, including the automotive market; (b) failure to successfully commercialize, or to realize expected benefits from new technologies, processes, or products, including, without limitation, next generation aluminum alloys or the Alcoa Micromill, at the levels or by the dates anticipated, whether due to changes in the regulatory environment, competitive developments, unexpected events, such as failure of processes or material to meet specifications, changes in customer preferences, disagreements with partners, or other factors; (c) the risk that Alcoa is unable to supply Micromill material to Ford in the quantities or by the dates required, or that such material is not used in the volumes or on the vehicles projected; and (d) the other risk factors discussed in Alcoa’s Form 10-K for the year ended December 31, 2014 and other reports filed with the Securities and Exchange Commission. Alcoa disclaims any intention or obligation to update publicly any forward-looking statements, whether in response to new information, future events or otherwise, except as required by applicable law.